Morehouse College's senior Trey Simons secured his third consecutive trip to the NCAA DII Cross Country National Championships after finishing third at the South Region race in Lakeland, Florida. 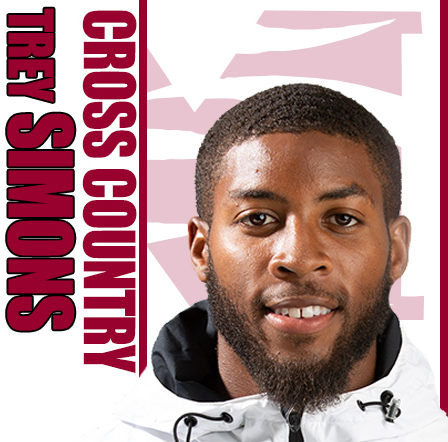 Simons completed the 10K course with a time of 31:49.53 just five seconds behind fellow SIAC runner Raymond Korir of Central State who finished with a time of 31:44.18. Lee University's Christian Noble was the individual champion finishing with a time of 31:19.17. Morehouse finished in 13th place with a score of 321 points. Junior Collins Kiplimo was the next Morehouse runner to cross the finish line with a time of 34:28.38 in 75th, followed by Randy Carter, Jr. in 82nd in 34:35.28, freshman's Qaseem Wajd crossed the line in 126th in a time of 37:53.94 and Nicholas Kipsang finished in 128th stopping the clock in 38:08.33.